Commcase Aarhus is an initiative by Studenterlauget, which seeks to offer curious students the opportunity to solve challenging real-life business cases within the fields of marketing and business communication. This year we have stepped up our game and we will make Commcase Aarhus greater than ever before! We have established interesting partnerships that surely will provide you with a deep insight and show you how life after your studies at Aarhus BSS can look like. Are you interested in problem solving and would you like to present your solutions to the company itself? Then Commcase Aarhus is a great opportunity for you, as you most definitely will learn a lot during only a few days! Join us as we guide you through three days of intense learning, where you will participate in different workshops and attend presentations that surely will prepare you for the case solving experience of Commcase Aarhus. The purpose of Commcase Aarhus is to provide students with new challenges through cases that demand creative and sustainable solutions, which the companies can implement and utilize in the future. Furthermore, Commcase Aarhus offers the opportunity for companies to discover and work with talented students who are ready for new challenges in the business world and who can provide a different point of view on relevant business issues. Moreover, the purpose of Commcase Aarhus is to strengthen your competences and qualifications making you more visible for highly acknowledged companies. Commcase Aarhus involves two cases – one introductory case and one final case. The winners are selected by a jury, and all participating teams get the chance to meet the partner companies. 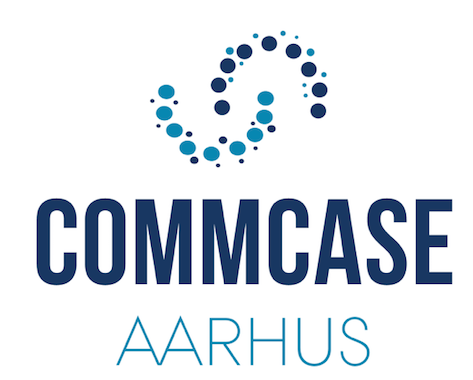 The Commcase Aarhus 2018 case partners are JYSK, OMD and Precis Digital.